Tired of spending heaps of cash on your lenses? 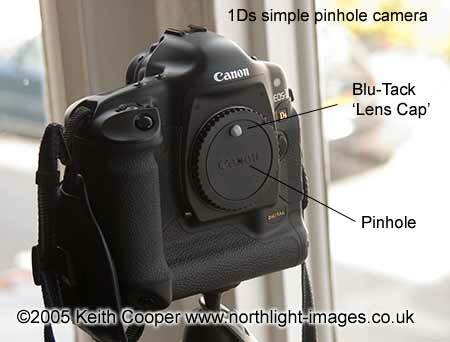 Keith describes how to make a pinhole camera out of your digital SLR. Results are compared to a significantly more expensive lens not made of toilet paper tubes. Note – this article dates from 2005. I tried the ‘lens’ on my subsequent 1Ds mk3 (21MP) and as expected, the files were bigger, and that’s about it… In 2015 I’ve a 50MP 5Ds – perhaps time for another look. The original camera — probably first noted a very long time ago when someone saw an inverted view of the world outside cast onto a wall through a hole in a window shutter. For distant objects the optimum radius of the pinhole is approximately equal to the square root of the product of the wavelength of the light and the distance from the pinhole to the sensor. Thus for d=50mm and a wavelength of light of 550nm we get a pinhole radius of 0.165mm or a diameter of 1/3rd mm. For a 200mm distance to film we need a hole of 2/3rds mm. 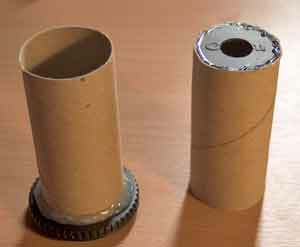 Both sizes quite easy to make, but you may need several attempts to get a good clean circular hole. A poorly shaped hole will introduce noticeable loss of quality in the image. 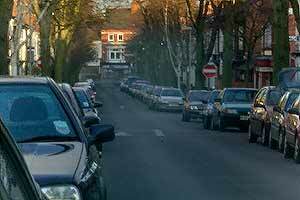 As ever, tinker with expensive cameras at your own risk! Now comes the expensive part (apart from the ~£5000 I paid for the 1Ds body) — £3 for a replacement camera body cap. A small hole was made in the centre of the body cap with a scalpel blade. Not a very small hole (~0.9mm). The picture is taken on my desk with sunlight coming in through a gap in the curtains. You can see an image of the Sun on the desk. Pinhole to focal plane is about 50mm. 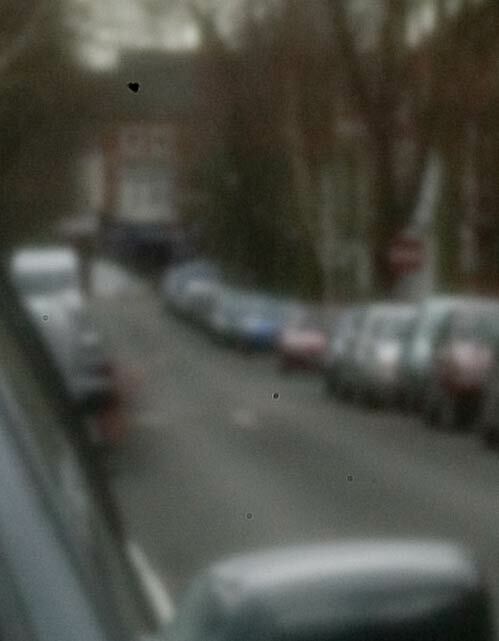 The image quality was rather poor and blurred. Not entirely unexpected, so I looked at a better way to get a pinhole. 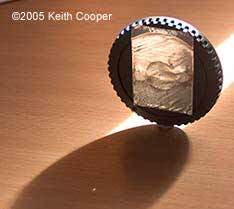 By enlarging the hole in the plastic cap, you can use a better material for the pinhole. Paper backed sticky Aluminium foil tape is very good and can easily be replaced. Thicker foil (take-away food containers) is good but needs glueing. Several guides on the web suggest that very thin brass sheet is best, but there was none in the tool cupboard/kitchen. 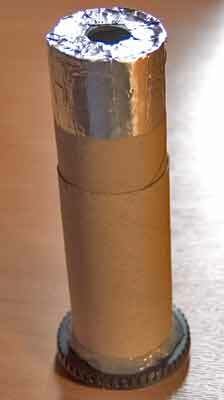 The hole in the body cap is enlarged to about 1cm and covered with Aluminium tape. The hole was made with a fine sewing needle. Note the image of the Sun is dimmer than the first pinhole in the plastic. After several tries I got a good sized pinhole and took the camera outside. A reduced version of the 4064×2704 image produced from a 1Ds ‘raw’ file. 1 second exposure at ISO 200 (manual setting, exposure optimised via camera histogram) The image after a bit of processing. This is a sample of the original image at full resolution. Use the Photoshop ‘Shadows and Highlights’ tool to give the picture a bit more punch. Sharpen with Unsharp Mask for web use. Save for web with no included icc profile at a medium quality setting. The last three steps are really there to optimise the picture quality on the web. Excellent depth of field and no distortion. There is so little light coming into the camera that the viewfinder is pretty useless. 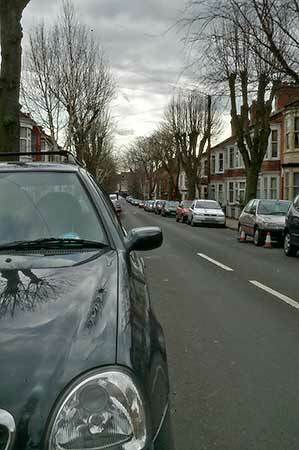 It took quite a few shots to get this one of the ugly cars outside my house. It is worth trying a number of different pinhole sizes since the increase in resolution with smaller holes is offset by diffraction effects. 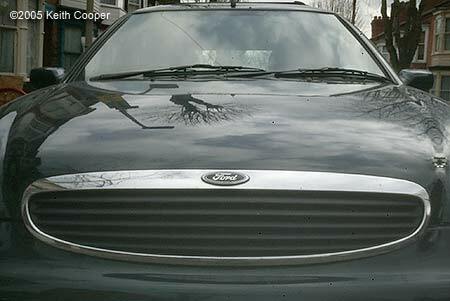 Using the aluminium tape allowed several different pinholes to be pre-prepared. 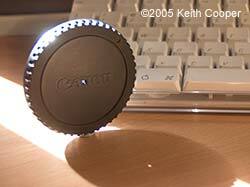 The lens cap pinhole gives a focal length of 50mm, how about something a little longer, and zoom too? 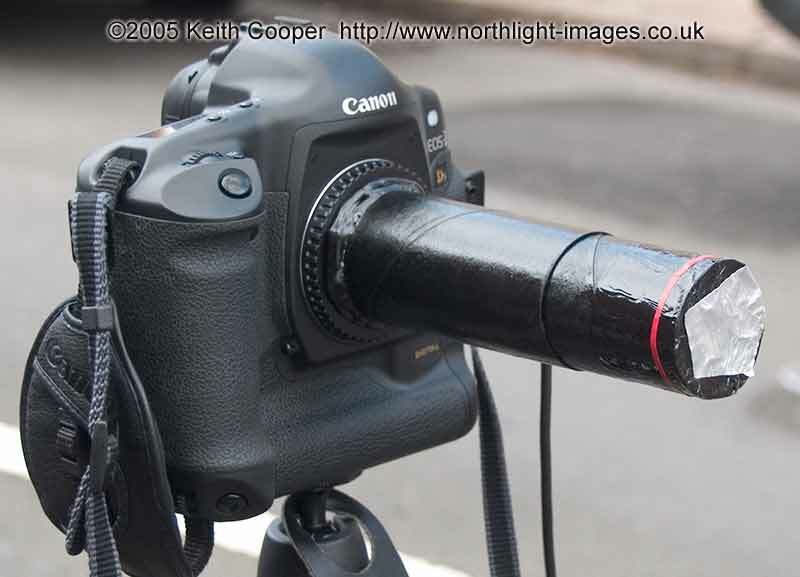 Two toilet paper tubes for the zoom lens. Some of the aluminium tape ensures that the end is light proof A spray of black paint inside and out keeps light reflection at a minimum and also stops dust from the cardboard rubbing off and getting into the camera. Be sure to mask the actual camera mount from paint. 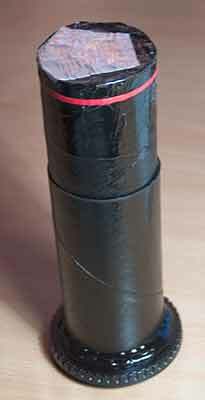 The 1Ds with its 200mm pinhole lens. The 200mm seemed a lot more dependent on a good quality pinhole, and also susceptible to light coming through the viewfinder. The first attempts showed considerable vignetting, which turned out to be stray light. The 1Ds has a viewfinder shutter to stop this. You could use a black cloth if need be. 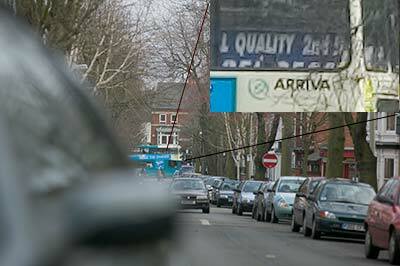 The raw images is fairly blurred as before. 13 seconds exposure at ISO 100 A sharpened version, after processing. There was traffic at the end of the road (where the bus is in the shot below) but the long exposure loses it. The expensive version — is it really worth it? 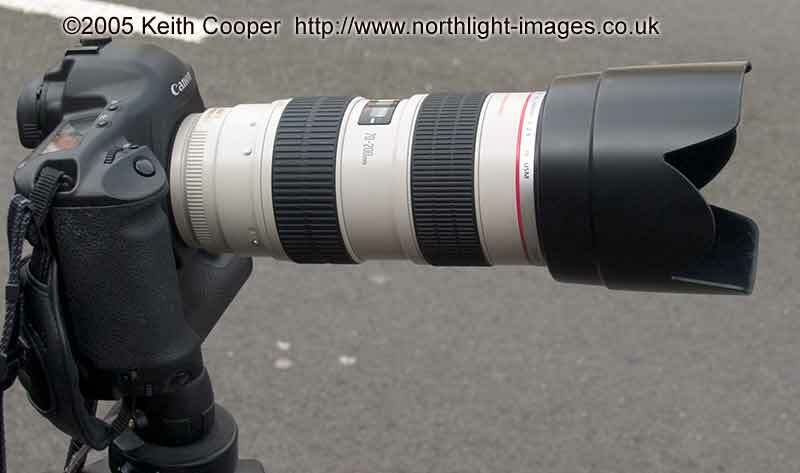 The 1Ds with its Canon EF 70-200 2.8L IS zoom lens. Note that since I mostly use this lens hand held, its tripod mount has been removed. If you need sharper pictures, faster f-ratios and a slightly more ‘Pro’ look. Inset is a detail at full resolution showing the increase in resolution that you get for around £1400. This lens and the 16-35mm 2.8L are my most used lenses. The image stabilisation feature lets me regularly take shots hand-held at 1/50th sec. 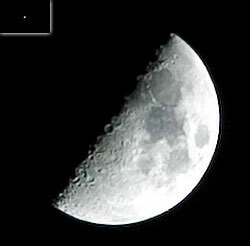 The moon is about half a degree across and is a critical test of any lens, particularly against a dark sky. Note that the link is to the very first version of DxO Optics Pro with RAW support – there are reviews of all newer versions. I was very surprised at the quality I got out of the 50mm version after a bit of image processing. The Focus Magic plugin worked wonders and I discovered that the Photoshop ‘Shadows and Highlights’ tool can make appreciable differences to soft images even when set at 1% for the shadows. The smaller pinhole of the 50mm version seems to produce pictures that are easier to process for sharp results. This may be due to the amount of blur just being too much to easily correct from the larger 200mm pinhole, or it could be that the larger hole was not so good quality as the smaller one. The pinhole lens is certainly lighter to carry around, although the need for a tripod and 15 second exposures might affect its usefulness in some areas (wildlife/photojournalism). Just because I do photography for a living doesn’t mean it can’t still be fun!